The Art of Such -n- Such is refreshed by SweetWater! 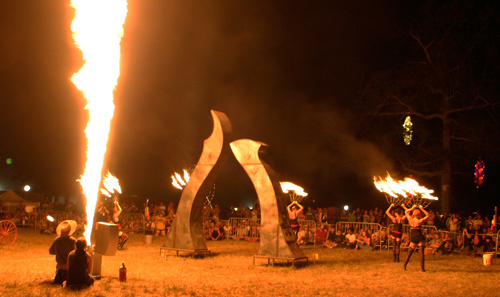 For the festival goers of Bonnaroo 2008 we have cooked up the biggest hottest fire show yet . We have an aesthetically driven highly focused look this year that pushes the parameters of what art can be and do! By day you can come check out the art and by night see us ablaze and filled with crazed firey fun! SO come check us out as we fire things up imediatley after the headliner on Friday and Saturday nights. We will have fun framed antics and such during some of the late night shows too. please view this video link to learn more about who we are and what we do.